The idea of walking away from family, friends and the whole of one’s past to another race may seem strange, bordering on bizarre, to many of my visitors who may wonder how one would want to walk away from family traditions, shared joys and many other things that bind us to our first socializing community, especially Africans and Asians to whom families seem to be closer than Western societies. To understand why some may choose this path, one must understand Slavery in America and the intractable legacies of two societies it has left behind: a White society that gets all the breaks and a Black one whose most citizens have to claw and be often many times as good as their White counterparts to get their feet just on the lowest step of the ladder of success. I should be able to get my hand on this book before the year runs out, and prepare a fairly-deep review in the usual manner of my blog so that those not in a position to get their hands on the book can have an overview of Ms. Hobbs book. “The family jokes, the oral history every family has, and repeats and passes down,” Hobbs muses, “those things are lost to people who pass.” She figured if she had a passing story in her family, there must be many other families who did, too. While Hemings did not pass for a White, the difference in life’s opportunities for the very fair African-Americans during slavery should explain why such would be tempting. 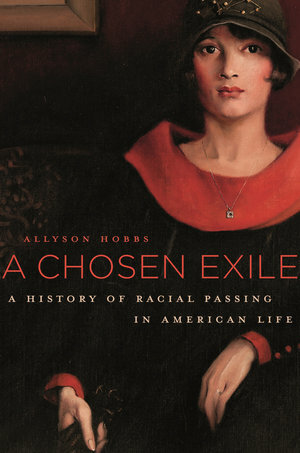 Thanks tons for the blog entry on ‘A Chosen Exile‘. Perfect timing for me as I only recently started reading articles on this website- http://www.theroot.com/articles/history.html and it has made me very thirsty for more stories on the amazing strength of the ones before us. Incredible! It is hard to imagine the painful sacrifices people had to make to live normal lives. I think of how much family means to me and it strikes me that … although they may have succeeded in creating a completely different identity, it would have been a daily … hourly, lifelong struggle to numb their hearts and minds to thoughts and memories of their families and friends. Ah! and not being able to talk about family or refer to them in conversation?? We have lots to be grateful for … and roles to play in the prevalence of good in our world. Can’t wait to read your review. Thanks for this succinct contribution, Dear Yewande. 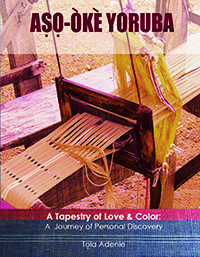 All these booby traps that stand in the way of achieving success for African-Americans lead many to choose the path of lives of NOBODIES: people without families, without pasts, without family traditions, et cetera that must be hidden from the lives they chose, rather than face the person that God made them to be. I know, I cannot imagine myself without perhaps the most important part of how I am who and what I am: my past. I do not remember if you were in Peju A’s class, the tiny pleasant girl who announced she did not know her hometown and that no grandparent ever lived with them at Ibadan when I gave an essay topic on ‘my home town’, to which I responded it was impossible and that she should ask her mom at half term with these exact words: “Auntie says I cannot know where I am going in life if I do not know where I come from”. After the half term break, she announced the name of a small town near Osogbo (Ilobu) to which I told her there’s nothing wrong with coming from a small town. I also asked if there was anyone in the class who did not know my hometown, Iju, a small town in Ondo State but perhaps with more Ph.D. degree holders, more medical doctors and more first degree holders than some states in Nigeria! I’m happy you see the story of the self-exiled African-Americans as that of a people we should love as much as those who stood up for who they were. Yeah, “the amazing strength of the ones before us. Incredible!” – is to be praised and cherished for courage. I can’t wait to get my hand on the book so that I can share the contents with you and those of my visitors who may never get a chance to read about a people not only for whom we must remain non-judgmental but about race discussion in America.